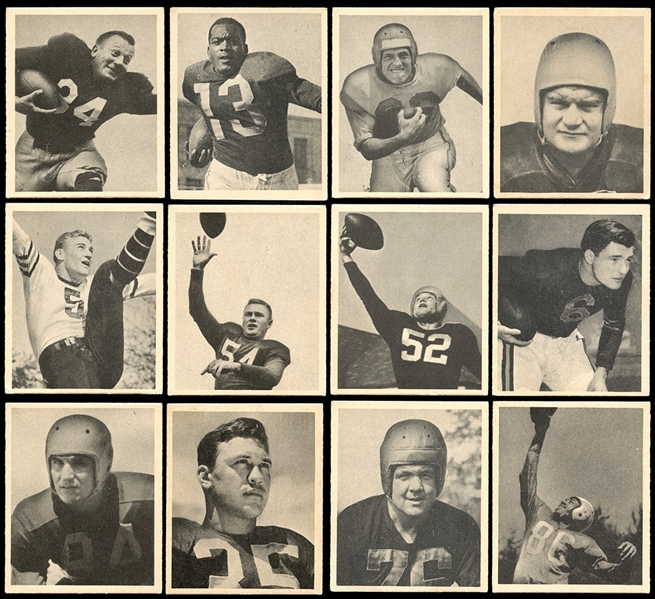 Offered is a solid collector grade 1948 Bowman Football card set. A super challenging set of cards that includes 108 examples with nearly every third card being short printed due to the way Bowman laid out their sheets during production. 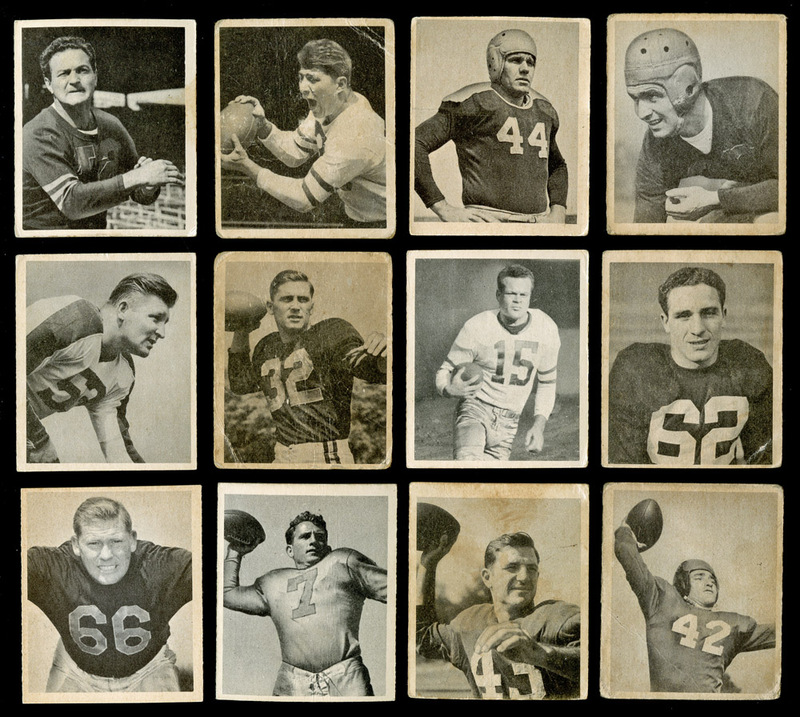 The set grades the following: #1 Tereshinski EX, #3 Lujack GD, #7 Van Buren EX, #8 Washington EX+, #12 Connerly GD, #17 Trippi VG, #22 Baugh G/VG miscut, #26 Waterfield EX/MT, #29 Harder NM, #36 Turner NM (slight OC) #44 Christman EX+, #60 Nickel VG, #63 Pihos GD, #71 Horvath VG, #80 Dudley NM, #95 McAfee EX, #99 Gilmer NM, #104 B. Smith EX/MT, #107 Luckman VG, #108 Ray VG. The remainder of the set grades: 10% NM, 15% EX/MT, 15% EX, 20% VG/EX, 25% VG, 15% GD or less.